Temporary restraining orders are automatically issued in the aftermath of a domestic violence arrest. These orders, which can become permanent, come with strict terms. Violating the terms of a domestic violence restraining order can result in additional criminal charges and penalties. It can also have other serious impacts, like compromising your rights in a custody case and/or your rights to own firearms. At Anaya-McKedy, P.C., our Colorado Springs lawyers have extensive experience defending clients in all aspects of restraining orders, including in hearings involving permanent orders and in restraining order violation hearings. Strategic, experienced and insightful, we can help you effectively defend your rights while minimizing the negative impacts associated with these cases. We are ready to put our 30+ years of criminal trial experience to work helping you successfully navigate the challenges ahead so you can achieve the best possible outcomes. 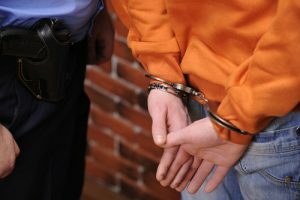 Have You Been Accused of Violating the Terms of a Restraining or Protection Order? We are available 24/7 to answer your questions, assuage your concerns and provide you with exceptional defense representation. We can discuss your case over the phone or during an in-person meeting at jail or our Colorado Springs office. What Are the Terms of Domestic Violence Restraining Orders? Also referred to as protection orders or orders of protection, restraining orders that are issued as part of domestic violence cases can come with various terms, depending on the circumstances involved. Refrain from contacting or communicating with the alleged victim(s) in person or via phone, text, email or other methods – This holds true regardless of whether the alleged victim(s) may have initiated the contact. Surrender any firearms to law enforcement authorities. If you are facing the possibility of a restraining order or if you are already subjected to the terms of a protection order, you can turn to the lawyers at Anaya-McKedy for help understanding the terms and defending yourself in any future proceedings related to the order. How Long Are Restraining Orders in Effect? Give the alleged perpetrator the opportunity to argue against the orders. If permanent orders are imposed, these can last for a period of two years or longer. In some cases, these orders may come with lifetime restrictions. What Are the Charges & Penalties Associated with Restraining Order Violations? Class 2 misdemeanor if there are no priors – These charges can be publishable by up to 1 year in jail and up to $1,000 in fines. Class 1 misdemeanor if there are priors – These charges can be publishable by up to 18 months in jail and up to $5,000 in fines. Please note that these penalties can be imposed regardless of the disposition of the domestic violence case. In other words, you can still be charged with, convicted of and sentenced for a protective order violation even if the domestic violence charges that spurred the protective order are later dropped or the case ends in an acquittal. What Happens If I Have Been Accused of Violating a Restraining Order? If someone calls the police to accuse you of violating the terms of a protective order, police will arrest you if they find probable cause to suspect that you have violated the order (with probable cause being reasonable grounds that a violation has occurred). Following the arrest, the prosecutor will decide whether to file charges. If restraining order violation charges are filed, court proceedings will follow to determine whether the violation occurred. Having a strong defense in these proceedings can be crucial to protecting your rights, freedom and future. There was no violation, and the allegations were falsely made – This may be a defense option when there little, conflicting or no proof of a violation and/or when there may be evidence that an alleged victim was out for revenge or trying to gain the upper hand in another legal case (like a child custody case). The violation was accidental, not intentional – This can be a viable defense if the accused happened to be in the same place at the same time as the alleged victim without knowing the alleged victim was there. An attorney at Anaya-McKedy can explain – and help you pursue – your best defense options in these cases, after discussing the details of your situation. Strengthen Your Defense with 30+ Years of Criminal Law Experience: Contact an Experienced Colorado Springs Criminal Defense Lawyer at Anaya-McKedy, P.C. Help you defend yourself as you navigate the criminal justice system. Set your case up for the best outcome possible. We know that your case is likely the most important thing in your life, and we will handle it with the utmost care, diligence, professionalism and expertise. Our record of extraordinary representation and success has earned us numerous professional honors, 5-star reviews on Facebook and Google, and the respect of colleagues, local judges and prosecutors.